We are committed to customizing the delivery of the training in order to meet your needs all while maintaining the integrity and quality of the program. See our case studies below that illustrate how we customize the program for groups. 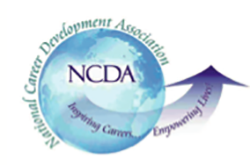 Developed by the National Career Development Association (NCDA), The Facilitating Career Development curriculum is 120 hours of training that certifies career development practitioners in 12 competency areas. The training is also a component of Global Career Development (GCDF) credentialing. In addition, NCDA now offers the CCSP (Certified Career Services Provider) credential. Please visit www.ncdacredentialing.org for more information. Program completers are also eligible to apply for the CCSP. Please note that a “Fast Track” option is available to anyone holding a current US GCDF credential. The Fast Track option will be available to US GCDF holders through Dec. 31, 2018. Fast track means individuals will not be required to complete the Case Study portion of the application. INQUIRE IF GROUP TRAINING IS NEEDED: If you are planning to enroll a group, please contact us to create a customized plan for delivery to meet your needs. Discounts are available for groups of more than 5. Our Resources for CDFs is a great tool for Career Development Professionals. This resource library includes Resumes 101 and both of our Beyond WorkTM Workbooks. Everything you need to help your students and clients prepare for their next step!